We all need to go to the dentist sometimes, no matter how healthy we think our teeth are, and no matter how much we may dislike going to these appointments. It’s one of those odd human quirks that something as easy and painless as getting a dental cleaning has become stereotyped as something to be dreaded and avoided. We all know how important it is, yet we act like we don’t. Often until things have gone very wrong within our mouths. 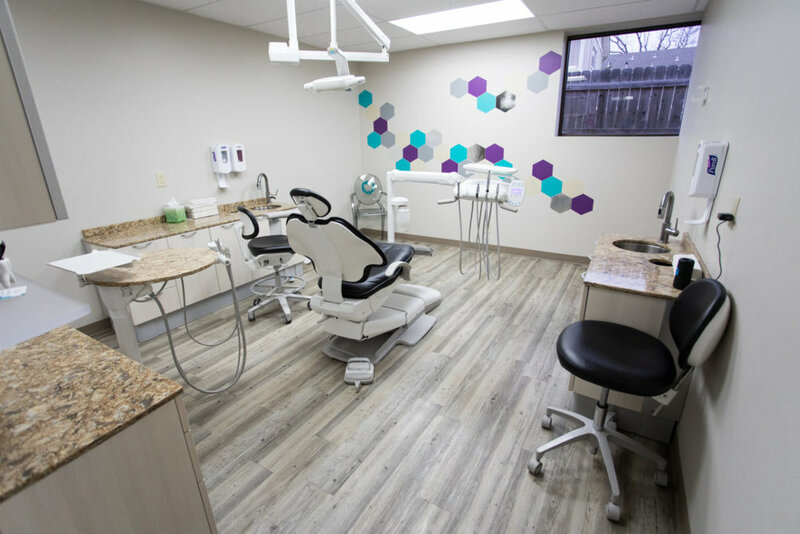 Even when we maintain proper daily care for our teeth, we need to go in for these Tulsa teeth cleanings. There are a few primary reasons for this. Plaque and tartar builds up in our mouths even when we take good care of our oral hygiene, and these can’t be removed at home. Only by going in for a Tulsa teeth cleaning can we rid ourselves of these bacteria strongholds. The other reason is to catch oral health complications before they get severe. Dentists are trained to diagnose our mouths with every appointment, even if we’re only in for a cleaning. Perhaps, especially when we go in for a cleaning. This is the most common type of dental appointment, and so it has become the best opportunity for these experts to spot early warning signs of dangers to our oral health. When the dentist cleans our teeth, they take x-rays, and they always poke around with their mirrors and lights. This does help them with the actual cleaning. After all, it’s hard to clean what you can’t see. However, this is also so that they can get a solid image of what is going on in our mouths and whether or not anything dangerous is emerging. From something as simple as a cavity to the early signs of oral cancer, these screenings can be essential for protecting our long-term health. Not only of our mouths but potentially of our entire body. The mouth has a straight shot into the human bloodstream, and we can be put at risk because of this. Infections in the mouth can leach into the bloodstream with disturbing ease and put the rest of our body at risk. Dentists know all of this and are well-equipped to combat any risks that may appear in our mouths well before they develop into serious dangers. To do this, they only ask for a few simple things from us. That we take proper daily care of our teeth and that we come in for a Tulsa teeth cleaning twice a year. And financial compensation, of course; they are operating a business after all. In return for these three things, your dentist will make sure that you keep your teeth for as long as possible, and in as good of condition as possible. Far from something to fear, going to the dentist should be something to look forward to. These experts are the champions who defend us from all the unwanted ills that can befall our gums and teeth. With their tools and skill, they combat bacteria and liberate us from the acidic waste these micro-organisms secrete. Schedule a Tulsa teeth cleaning appointment now and let these champions fight for you!